Robinson, Amanda. "Chief". The Canadian Encyclopedia, 06 November 2018, Historica Canada. https://www.thecanadianencyclopedia.ca/en/article/chief. Accessed 23 April 2019. Chief is a word used to denote status or leadership upon an individual in a group, clan or family. The origin of the word is European; colonists used it to refer to the leaders of Indigenous nations during the era of contact. While different Indigenous nations have their own terms for chief, the English version of the word is still used widely to describe leaders tasked with promoting cultural and political autonomy. The term is also used by institutions and organizations that are not exclusively Indigenous to refer to heads of staff (e.g., chief of police, commander-in-chief, chief executive officer). This article explores the historical and contemporary uses of the term in the Indigenous context. 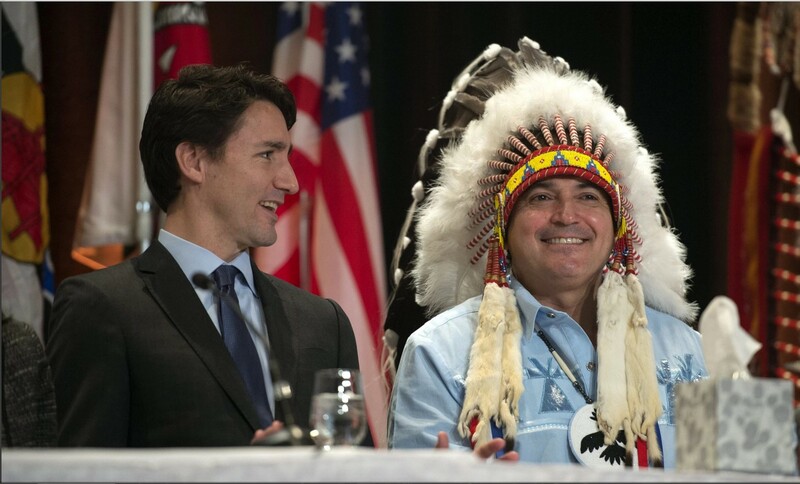 Prime Minister Justin Trudeau and national chief of the Assembly of First Nations (AFN) Perry Bellegarde talk before the beginning of the AFN Special Chiefs Assembly in Québec, 2015. In many Indigenous cultures in Canada, chiefs are the leaders of bands, clans	and/or First Nations. Chosen either by group consensus or as a consequence of their ancestry, chiefs hold high positions of authority in their communities. They mainly serve as links between their people and the municipal, provincial and federal governments. Chiefs may also act as cultural and spiritual leaders. Chief comes from the French term chef, which originates from the Latin word caput, both of which refer to the head of a group. During the colonization	of North America, European settlers used the anglicized version of the term — chief — to describe the leaders of the Indigenous nations they encountered. Indigenous peoples have their own words to describe their leaders; for example, sachem (Haudenosaunee) and ha’wiih ( Nuu-chah-nulth). However, the word chief is still commonly used to refer to Indigenous leaders, especially in public forums. The term was formally enshrined in Canadian law by the Gradual Enfranchisement Act of 1869 and the Indian Act	of 1876. Still used today, the Indian Act legislates (among other things) the process of electing First Nation chiefs in Canada. It does not regulate these processes in Inuit, Métis, non-status (seeIndian) or self-governing	communities because, while they are acknowledged as Aboriginal peoples in the Constitution, they do not fall under the purview of the Indian Act. From the era of European contact to the present day, chiefs have played an important role in developing, maintaining and re-shaping relations with colonial powers over matters concerning trade, war and peace, treaties and modern politics. During the fur trade, for example, Europeans relied on the knowledge and hospitality of Indigenous leaders and their people to provide them with shelter, food and guidance. Armed conflict between feuding European powers over territory in North America during the 17th and 18th centuries prompted the formation of military alliances between chiefs and European leaders for mutual protection against common enemies. As Europeans began to settle in North America more permanently, treaties were meant (among other reasons) to bolster good relations between colonials and Indigenous peoples. Government officials signed treaties with chiefs in order to acquire rights to traditional territories in exchange for one-time or ongoing payments, and in some cases, rights to hunting and fishing. By the 20th century, some chiefs saw party politics as a means of further advancing nationwide goals for Indigenous peoples, including cultural preservation, increased opportunities for health services and employment, and the general betterment of on- and off-reserve life. The roles of leaders have varied widely across First Nations in Canada. Historically, some First Nations were chiefdoms — highly ranked communities led by a primary chief — such as the bands of the Neutral Confederacy. Other First Nations, such as the Cree	and Siksika, have always had a wide variety of leaders, from minor to head chiefs, with responsibilities divided amongst them. Today, those roles are often filled by elected councillors and chiefs who similarly share governing power. There are also cases where formal chiefs did not exist in the pre-contact era, such as in some Dene and Innu	communities. Certain individuals who exhibited leadership skills in areas like hunting, trading and war, often attracted followers. During the fur trade, Europeans encouraged (and in some cases, imposed) the establishment of chiefs with more wide-reaching powers as a means of controlling local Indigenous populations. The role of chief still exists in many of these communities. While every culture is different, there are two types of chiefs in modern First Nations governance systems: hereditary and elected. Hereditary chiefs have governing power that is vested in their ancestry, much like monarchs. Elected chiefs are more like politicians, who receive governing power through their people’s votes and are accountable to the federal government. Prior to colonization, many Indigenous nations, such as the Haida, Nisga’a, Nuu-chah-nulth and Kwakwaka’wakw	had hereditary chiefs. The Indian Act imposed a system of governance in which chiefs had to be elected. For Indigenous nations that already had established lines of hereditary chiefs, this new system threatened to overturn traditional modes of governance. Even for people who were familiar with selecting chiefs by group consensus prior to the Indian Act, such as some Cree and Mohawkbands, the Act abolished various customs, such as women’s involvement in the election process (until 1951 when the Indian Act was amended). The federal government only recognizes chiefs who are elected by one of the following methods: complying with the protocol outlined in the Indian Act; following “band custom” (a leadership selection process specific to a community’s traditions); or using the First Nations Elections Act (enacted in 2015 to improve upon the election system). Self-governing First Nations — which do not fall under the Indian Act — can elect leaders based on the regulations set out in their own constitutions. Due to these different selection processes, the term in office, election period, and other matters concerning the election of a government are diverse across First Nations in Canada. Though the Indian Act curtailed the powers of hereditary chiefs, granting elected chiefs lawmaking powers that their counterparts often no longer enjoy, hereditary chiefs continue to function as traditional knowledge-keepers and as sacred cultural leaders. Elected chiefs — seen by some as the imposition of colonial structures on Indigenous governance — do not always have the same level of cultural authority. As a privilege of their lineage, hereditary chiefs hold sacred rights	to traditional lands as well as to cultural songs, regalia and other customs and practices. Some hereditary chiefs also inherit special names that denote their authority, such as Delagmuukw among the Gitxsan and Maquinna among the Mowachaht-Muchalaht. In some contemporary First Nations governments, hereditary and elected chiefs work together to govern their communities. For example, Huu-ay-aht, a self-governing First Nation in British Columbia, is led by elected leaders, who form the Huu-ay-aht Government, and by hereditary chiefs known as the ha’wiih, who serve as advisors and keepers of tradition. In the ‘Namgis First Nation (also in British Columbia), both elected and hereditary ‘Namgis chiefs form the Title and Rights Forum, a group that seeks to “create a collective vision” for their nation’s future. Not all First Nations have amicable relations between elected and hereditary chiefs. In some cases, the imposition of the Indian Act left ancestral ruling families with animosity towards their elected counterparts. Among the Haudenosaunee, for example, the original Haudenosaunee Confederacy Chiefs Council has long been at odds with the federally imposed Six Nations Elected Council, as the two vie for power and authority over matters relating to land, politics and culture. In the case of the Haida, tensions between elected and hereditary chiefs came to a head in 2016, over a dispute concerning who has the rightful authority to speak on behalf of their people. Two hereditary chiefs, along with a few other Haida citizens, supported the proposed Enbridge	Northern Gateway pipeline, but kept the news from their clan members, most of whom opposed the project. As punishment, the Haida nation stripped the two hereditary chiefs of their sacred titles. Leaders among the Inuit are not typically referred to as chiefs, but they have the same role of providing for, protecting and leading their people. Before European contact, respected elders and men chosen by consensus led Inuit bands and families. Some of these men were also shamans or spiritual leaders. One example of a great leader in Inuit history is Qitdlarssuaq, believed to have led one of the earliest Inuit polar migrations, from Baffin Island	to Greenland, during the mid-1800s. By the middle of the 20th century, territorial and federal governments sought to standardize Inuit political structures for the purposes of administration and state consolidation, and as an attempt to involve the Inuit in modern governance structures. This eventually led to regional, town and hamlet councils with elected and appointed officials. Similar to the Inuit, Métis people generally do not refer to their leaders as chiefs. Nevertheless, the Métis Nation has been led by individuals who have sought to protect and preserve Métis culture, land and ways of life. (See alsoMétis National Council.) Arguably the most important leader in Métis history is Louis Riel. Considered the founder of Manitoba, Riel was a central figure in the Red River and North-West	resistances. 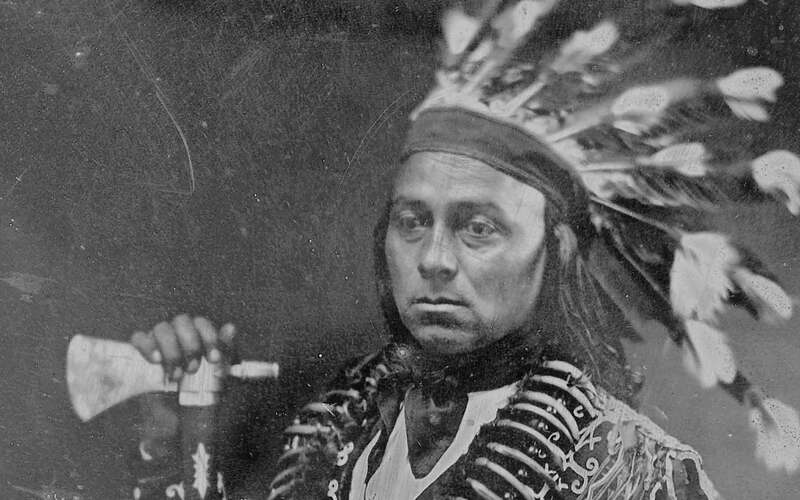 Gabriel Dumont is another well-known Métis leader, sometimes referred to as a hunt chief because of his role in the bison hunt. However, Dumont did more than supervise the hunt; like Riel, he also participated in resistance efforts aimed at protecting Métis people from government encroachment. Today, the Métis Nation is led by an elected president. While men historically held positions of leadership in many Indigenous nations, women also had some governing power in certain societies. According to author Sharon Venne, the Cree	considered women to be keepers of the land. During the treaty-making era in Canadian history, male leaders could not offer to surrender the land because they did not have the authority to do so — only women could speak on matters concerning territory. Since the Europeans did not recognize female leadership, the male chiefs could only offer to share the land. In the Eastern Woodlands, women held positions of power as keepers of the longhouse. Residency in a pre-contact Iroquoian longhouse was matrilocal, which meant that upon marriage, a man would move into his wife’s longhouse. Women therefore played an important role in the social structure of the community. Among the Haudenosaunee	in particular, governance systems were gender-egalitarian. Clan Mothers (known as the lakoiane) nominated the male chiefs (sachems). The role of Clan Mothers has survived to the modern age. For the most part however, colonization eroded positions of female leadership. European missionaries	and colonizers typically only recognized and recorded men as the leaders of their communities, even though women had equally important roles. The Indian Act further prohibited the election of female chiefs; before 1951, only men could vote in band elections. (See alsoIndigenous Women and the Franchise.) Indian agents — administrators of federal Indigenous policy — only recognized male leaders. Isolating women from positions of leadership has had lasting impacts on contemporary Indigenous governance structures. In Manitoba, for example, more than a third of reserves	in 2016 had no women serving on band councils. Nevertheless, women have persevered and have worked to reclaim positions of leadership in their communities. After the Indian Act was amended in 1951 to include female voters, Elsie Marie Knott	of Curve Lake First Nation in Ontario became the first elected female chief in 1954. Since then, female representation in certain Indigenous communities has increased. According to sociologist Cora Voyageur, the number of female chiefs in Canada has doubled in the last 20 years. In 2016, nearly a fifth of First Nations in Canada were led by women. There is no one type of regalia for chiefs that is consistent across Indigenous cultures in Canada. The clothing and cultural items worn or carried by Indigenous leaders was, and continues to be, reflective of specific cultural symbols, their people’s history, and deeply spiritual animal- and land-based iconography. In the modern era, some chiefs opt to wear Western-style business attire with certain regalia, such as a headdress. Others continue to wear traditional dress, especially when performing a ceremony or leading a cultural event. Popularized by Canadian culture and media, the feathered headdress is a symbol often (mistakenly) attributed to all chiefs. While feathered headdresses are worn by the chiefs of many Plains	First Nations, this style of headdress is not representative of all Indigenous cultures in Canada. Mi’kmaq chiefs, for example, have their own type of headdress, one that is wrapped more closely to the shape of the head, somewhat resembling a crown. 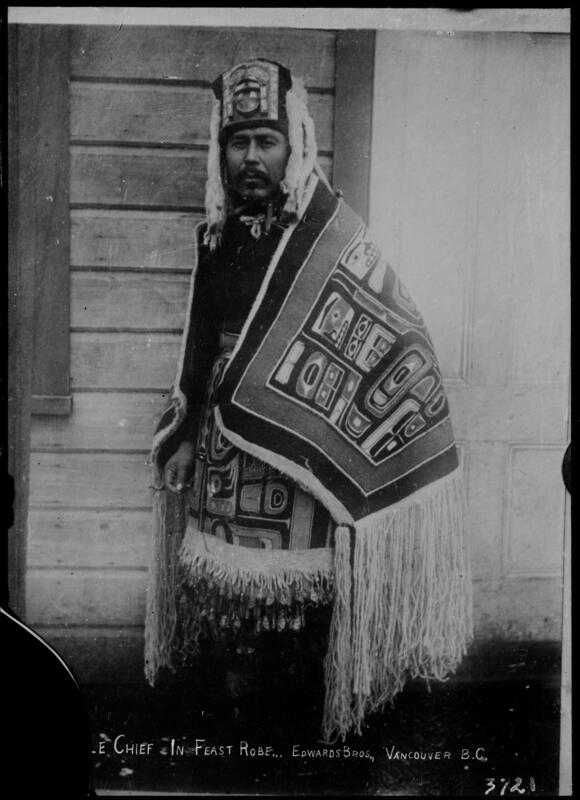 Nisga’a chiefs wear an amhalayt, a headdress carved of wood and decorated with natural products, such as sea lion whiskers and ermine skins, portraying one of the chief’s ayukws (crests). All headdresses, regardless of their style, carry political, spiritual and cultural importance. Many First Nations peoples therefore consider it offensive when non-Indigenous peoples wear one as a costume or as a type of fashion statement. In 2016, Party City and Spirit Halloween received backlash for carrying costumes such as “Reservation Royalty” and “Native American Princess” that perpetuated such stereotypes. In recent years, there have been calls to ban the wearing of fake headdresses at public events. The Winnipeg Jets of the National Hockey League decided in 2015 — after discussing the matter with First Nations leaders — to disallow fans from wearing headdresses to their games. Chiefs of various Indigenous communities often come together on a provincial scale — e.g., the Chiefs of Ontario and the Assembly of Manitoba Chiefs — as a means of fostering collective decision making. Chiefs also organize at the national level. Founded in 1982, the Assembly of First Nations succeeded the National Indian Brotherhood in protecting the interests and rights of Indigenous people across Canada. The group consists of chiefs from over 600 First Nations communities across the country who meet annually, as well as a nationally elected chief, an executive committee, and ten regional chiefs. Inuit and Métis leaders also meet as part of national organizations, namely Inuit Tapiriit Kanatami	and the Métis National Council, respectively.